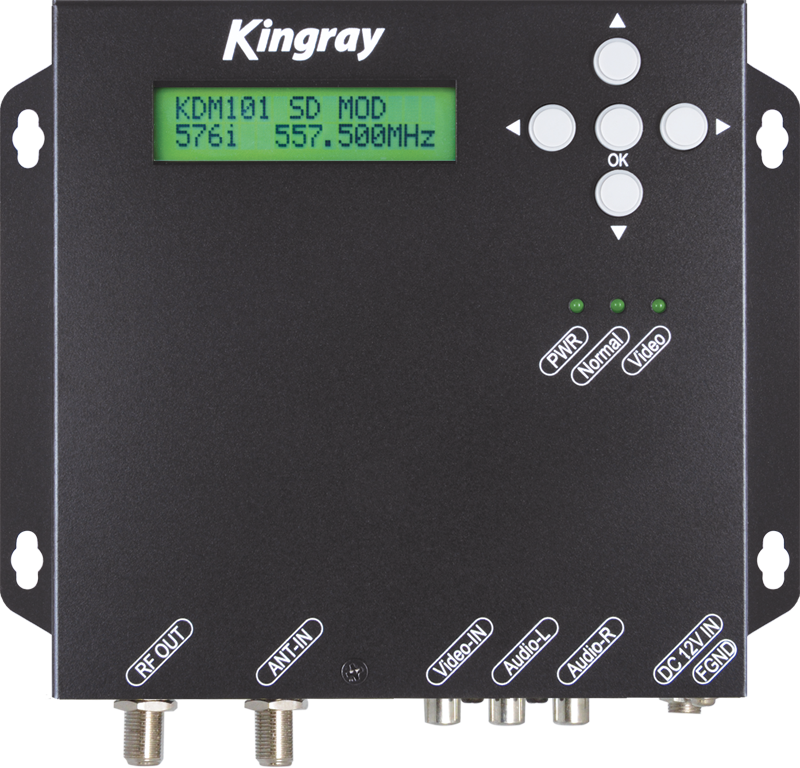 The KDM101 is ideal for converting an analogue AV signal either from a satellite decoder, DVD, video surveillance camera or video door phone and modulating it into a digital format (DVB-T) for distribution in a TV cable network. With intuitive, simple menus, the KDM101 provides quick and easy installation. Easy to program basic and advanced menus. Adjustable colour, brightness, contrast and saturation. Low insertion loss antenna input (1.5 dB). Adjustable LCN, PID, NIT, PDS and TS ID. Adjustable output level, frequency and offset. Variable video and audio bit rates. Adjustable constellation, FEC and guard interval. Click the button below to add the Kingray KDM101 AV to DIGITAL (DVBT) MODULATOR to your wish list.